As I begin planting my seeds for the garden, virtually every horizontal surface in my house is becoming covered in seed trays. So far I have tomato, cilantro, peppers and broccoli in my windows, but that list will grow quickly in the next few weeks. 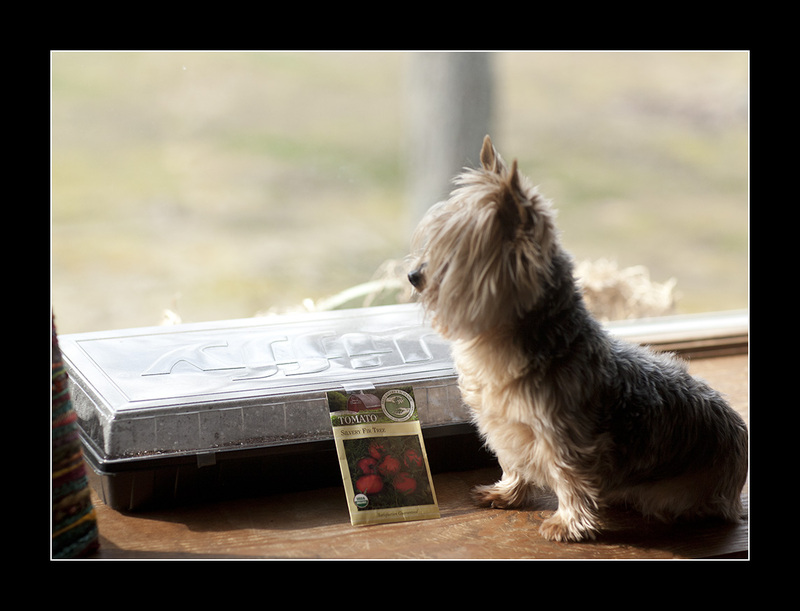 Bentley now has to share his favorite "watch-for-dad" window with Silvery Fir Tree and Jaune Flamme tomato seeds. I bought all my seeds this year from Seed Savers Exchange because they are all about preserving garden heritage by collecting and distributing thousands of samples of rare garden seeds to gardeners.